A chieftain of the All Progressives Congress (APC) and Senior Advocates of Nigeria (SAN), Festus Keyamo has advised Nigerians to first observe the Peoples Democratic Party (PDP) till 2023 to see if they have truly repented and then first vote them into councillorship offices. According to him, Nigerians cannot afford to bring the PDP back to power in 2019. Keyamo stated these via his Twitter handle while reacting to the apology the PDP tendered to Nigerians for its misdeeds of the past. The Party’s National Chairman, Uche Secondus, also appealed to Nigerians to vote the PDP back in 2019. However, Keyamo tweeted: “PDP apology means that the party is like a patient that has undergone a major surgical operation to cure a disease. It can’t be discharged immediately. It must be under observation for a while. So 2019 is for just observation of PDP. Nigerians cannot afford to bring them back yet. 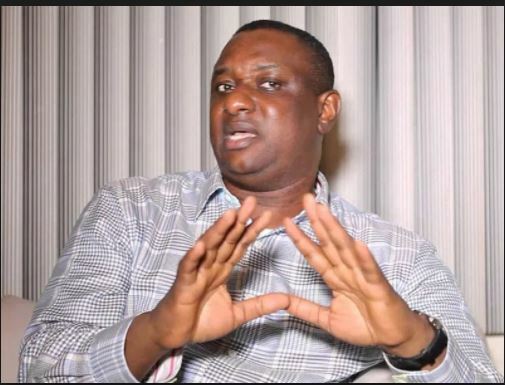 The post ‘Observe PDP Till 2023 To See If They Have Truly Repented,’ – Keyamo Tells Nigerians appeared first on LATEST NIGERIAN NEWS BREAKING HEADLINES NEWSPAPERS.